December 2016 – Topics that interest me from a personal development and professional level! I’ve just been seeing post after post about how nasty 2016 has been in killing off great people. Here’s something to consider: death is a part of life. You can’t have one without the other. 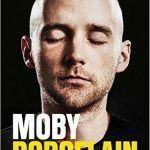 I’m currently reading Porcelain: A Memoir by Moby, one of my favourite musicians. I came across the following explanation behind the creation of one of my favourite songs of all time. Have a read as Moby takes you on a journey through the construction of my favourite Moby song, God Moving Over The Face Of The Waters. When I read the below, I, too was tingling and teary, as the explanation of the creation of one of my all-time favourite songs was explained to me. I, too could put myself into that studio and appreciate what went in to make the track. Although the music terminology is a little lost on me, being able to understand the creation of the song was one of the highlights of the book so far. I hoped there would be a section in the book on this song. I was internally happy when I read it, so much so I decided to copy and paste it (ok, typed it) and wanted to share this with you all. The sun was setting through the winter clouds, the last rays of sideways light casting long shadows and turning my studio into a Lower East Side Stonehenge. I was working on a piece of quiet classical music, not knowing if it would find its way onto the album. Perched carefully on my studio chair -it now squeaked like a bag of scared mice if I moved around too much- I was working on a cheap Yamaha keyboard set up on a plywood table next to a computer monitor. I played a simple piano arpeggio in A minor, recorded it and looped it. Then I listened to its three simple notes, over and over, wondering what I could or should add to it. I overlaid a second piano part in C major, adding a hopeful counterpoint to the plaintive A-minor arpeggio. Now I had two delicate piano loops bouncing around with each other. I wondered: Should this become a dance track? Should I add a kick drum, a bass line and high hats, and make it something a DJ could play at three a.m.? But the sadness of the A-minor arpeggio pulled against the optimism of the C-major arpeggio made me want to keep it simple. Adding drums felt almost heretical. I turned on an old string synthesizer and played a long, slow cello part under the arpeggio. Then I added some sevenths and thirds to the cello part. My brain started tingling, telling me, This is good, keep going, Moby. I wanted to add some high string parts, almost filigreed, so I turned on another string synthesizer, took the C-major arpeggio, and played it with high violins, creating something delicate but insistent. I didn’t want to anthropomorphize the parts I’d written, but it felt like I had two piano parts that were like two excited people: the polyphonous cello parts that were like slow-moving earth or water, and the filigreed violins that were naive angels watching over everything. The light slanting through my window seemed palpably slower than it had thirty minutes earlier. I could see the dust motes floating in the fading sunlight and each dust mote seemed like its own quiet world. I added some long orchestral chords, loosely following the cello parts. Then I added some more orchestral chords, filling out the areas that felt empty. It still needed drums – but not dance drums. I was sure now that I didn’t want this to be a club track. I wanted it to be orchestral. I took a bass drum, a low tom, and two crash cymbals and played them as an orchestral accent at the beginning of each measure. It was bombastic and harsh, so I added reverb to soften the drums and make them quieter. Then I arranged the track. I let the whole piece start delicate and empty, with just the piano arpeggio. I added the orchestral elements,slowly letting the track build. In the middle I removed those elements one by one until there was just a delicate arpeggio and a plaintive, austere viola part. Then everything came back in. While I listened to this arrangement, I thought about God moving over the face of the waters, when the Earth was new, before there was land and before anything was alive. The spirit of God, full of prescience and omniscience, seeing the emptiness and expanse of the new world, aware of all that’s there and all that’s going to follow. The life that will come, and the death that will end each life. The trillions of creatures who will come out of this ocean, all wanting to live as long and as well as possible, resisting death until the end. All the life and death and longing and heartbreak and hope. I listened to the music, put my head on the plywood table, and cried. Then I lay down on the floor and curled up underneath the table, listening to the sound of God moving over the empty oceans, following a sun that never stops rising and setting. I couldn’t think of anything I could do to make the track better so I decided to record it as it was. I didn’t want to ruin it by overcomplicating it. I got up, found a tape, wrote “god moving over the face of the waters” on the label, put it in the tape recorder, and pressed “record”, listening and crying with my head on the plywood.